Production company:- T-Series, KriArj Ent. 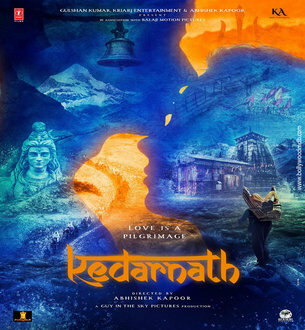 Kedarnath is an Upcoming Bollywood Film in 2018, It is Adventure Film and Sushant Singh Rajput, Sara Ali Khan in lead roles. This film is Directed by Abhishek Kapoor and Produced by Bhushan Kumar, Arjun N Kapoor. It is made under the banner of T-Series, KriArj Entertainment, Guy in the Sky Pictures, Balaji Motion Pictures. 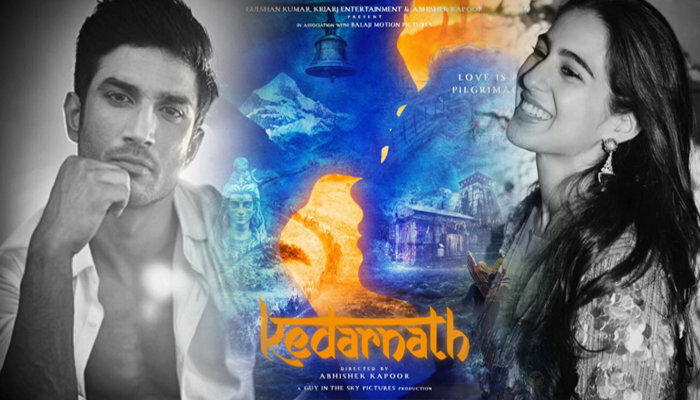 Kedarnath is scheduled to release in 2018. First look of Sarah Ali Khan's Bollywood debut film 'Kedarnath' has been released. Shooting of the film is going to start from today. The film's first look has been released before shooting starts. The poster is quite attractive, it has a picture of the snow covered mountains, Shivshankar's idol and a picture of two lovers among them. It is clear from the poster that in this film, love will also be shown with devotion. Abhishek Kapoor, director of the film, tweeted on social media and shared the film's first look for fans.